Natural Hypothyroidism Treatment: Hypothyroidism is a thyroid disorder caused by an underactive thyroid gland. 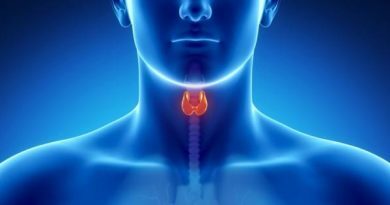 This happens when the thyroid gland fails to produce an adequate amount of thyroid hormones needed by the body for metabolism. This disorder will eventually cause one to feel or notice fatigue, weight gain, insomnia, dry skin, depression and a lot more. Symptoms vary per person. The right treatment is immediately required to eliminate the permanent effects of this thyroid disorder. Choosing a natural hypothyroidism treatment has been proven to be effective. As the metabolic rate of the body slows down, it is strongly suggested that one get plenty of exercise and be mindful of their food intake. There are a lot of natural treatments for hypothyroidism but these should be started immediately upon diagnosis of the thyroid problem. Treatments (lithium etc) that interfere with thyroid function or aggravate hypothyroidism should be discontinued but always talk to your doctor about starting or discontinuing any type of prescription or alternative medications. The first thing to do when using a natural hypothyroidism treatment is to control your diet. It must be rich in iodine and protein. Avoid drinking alcohol and smoking. It is also wise to avoid spinach, peanuts, soybeans and the likes as these are known to suppress the human thyroid function. There is more information about the right and wrong types of foods to eat with hypothyroidism here. Taking supplements is also helpful as these curb the ill effects of the thyroid disorder. An increased iodine intake can naturally help overcome iodine deficiency in the body. 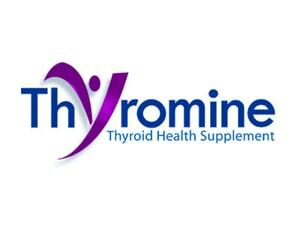 Eating foods rich in iodine helps with hypothyroidism caused by iodine deficiencies. Taking vitamins A, B, C and E also help in reducing hypothyroidism problems. Natural remedies include herbs like guggul and Irish moss. Both help in treating hypothyroidism naturally with no known side effects. Acupuncture and neutral therapy are also known to be options for natural treatments. Both have minimum side effects and maximum gains. Having a healthy lifestyle is also a great contribution in battling hypothyroidism. Having a balanced and health diet and exercising regularly helps one ward off hypothyroidism. There are so many suggested diets and natural treatments for hypothyroidism. These treatments range from common supplements to diet changes and exercise. One must always consult a doctor first before beginning any treatment plan, be it medical or natural. Using a synthetic treatment for hypothyroidism may also mean being enslaved to taking medication for life. A natural hypothyroidism treatment diet to manage hypothyroidism has been proven to be not just effective but it also has no-known side effects. People who are suffering from hypothyroidism are advised to get plenty of exercise. Yoga is a great form of gentle exercise with many other therapeutic benefits.